The 1RU 19” all-in-one LCD integrated KVM switch is an ideal solution for server cabinets. The all-in-one solution is available in 15”, 17” or 19” LCD and 8 or 16 port KVM switch options. The All-in-One integrated LCD KVM is the ultimate solution for computer management. 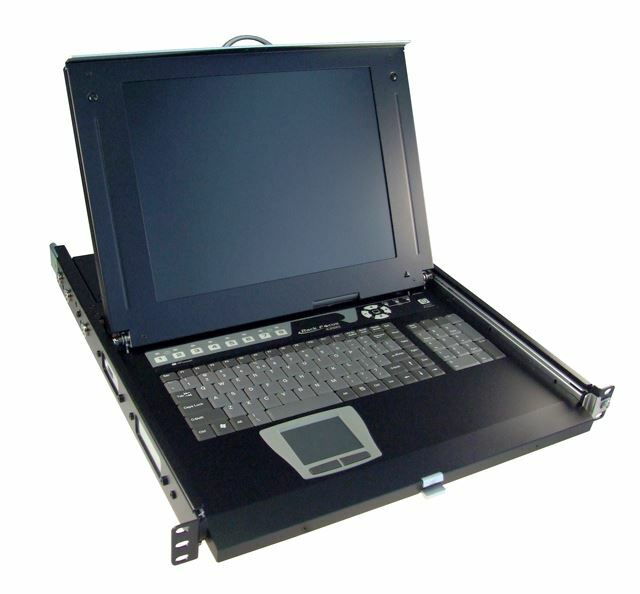 With a keyboard, touchpad, TFT LCD panel and a KVM switch housed in an industry standard 19” 1RU height rack drawer, the integrated LCD KVM can be cascaded with other Rextron KVM switches to provide greater computer management. The integrated KVM is ideal for applications where space is a premium.